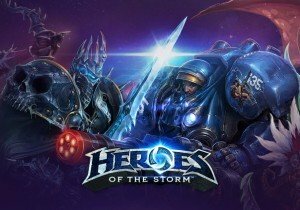 Heroes of the Storm Live Stream Highlights – Playing with friends… in the storm! Heroes of the Storm is now in Open beta, soon to be launched (June 2nd) so I decided to hop in with friends to see what has changed since the technical alpha! Thanks to everyone who tuned into the live stream! If you didn’t know I stream (when possible) on Saturdays, the latest games I’ll be doing first looks on (if possible) and I do so right here: http://www.twitch.tv/jamesbl0nde – Re-watch this live stream and others here! GBE Entertainment Limited has announced they will begin closed beta testing for their new MMORPG The Aurora World on March 7.